Completed 2018 | 5,900 sq. ft.
White Star Market is the tenant buildout for a gourmet food hall in the Square 46 Mixed-Use development. 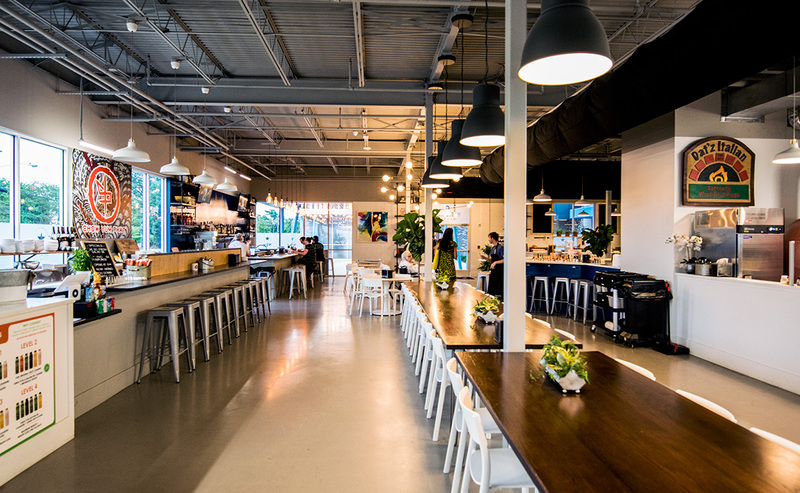 The hall consists of ten food stalls leased by various restaurant concepts, ranging from wood fired pizzas and Vietnamese Pho, to vegetarian meals and specialty coffees. A back of house full-service kitchen supports these stalls by centralizing food storage and sharing commercial kitchen equipment. The contemporary and elevated design of the interior creates not only an inviting space to share a meal or drink, but also a venue for gathering and community engagement. 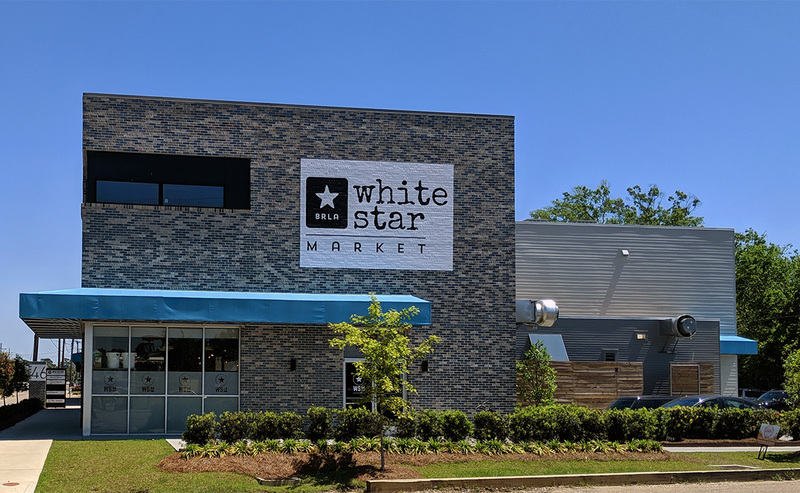 White Star Market has become a hub for various neighborhood activities, including a yoga class and a weekly running club.